As you know from my earlier blog post, L’Oreal is launching a second Project Runway Collection for Fall 2012 that they have entitled Electric Fantasie. Why do I want to pronounce that fan-ta-say. 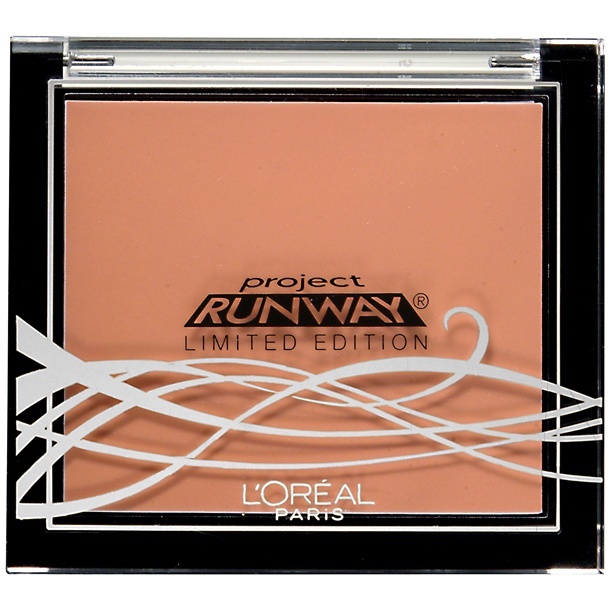 In conjunction with Emmpy-nomiated Project Way, L’Oreal has teamed up to created Electric Fantasie: The Fairy Tale Recharged in a limited edition launch of colors that will be seen on the Fall 2012 runways. The fairytale-inspired collection offers new and stunning shade ranges, rich textures and the tools to create distinctly different makeup looks. The Artsy Muse (for a playful and light-hearted look). Each collection offers shades of Colour Riche Lipcolour, Colour Riche Le Gloss, Studio Secrets Professional Eye Shadow Quad and Blush, Colour Riche Nail polish, and a sneak preview of L’Oréal Paris’ newest nail innovation, Colour Riche Nail Lingerie (sophisticated, easy-to-apply nail stickers with 3D effects). The products will range in price from $5.99-$9.99 and hit stores in September. Like any of the colors? I really enjoyed last year’s collection but I hope they aren’t as difficult to locate as I had a dickens of a time finding them! The blushes=MUST have. i’m eying that purple lipstick, some of the eyeshadow quads and brushes. one question. what can you tell me as far as the formula of the blush/eyeshadows are? i haven’t bought drugstore eyeshadows in ages..
quite good camillie, velvety eyeshadow, pigmented blush. nice stuff! Uh, dang. I think I need all of those polishes. The Muse’s Attitude looks like a dupe of Zoya’s Ivanka! I thought that same thing about the last one! The colours in this one definitely catch my eye. /want! Ugh! Oooooo, thanks for posting them all! I want most of the Queen’s collection, plus the Mystic lipgloss. NEED. ALL. OF. IT. Except for maybe the eyeshadows. I don’t think I’ve ever even used L’oreal eyeshadows before. But that nail polish is all screaming my name. I think my wallet just had a stroke. Whoa, I’ve never been so excited for a L’oreal release! The colors look SO amazing. I can see this one being popular with the online beauty community and being sold out quickly! Mystic shine is to die for! Temptress touch and queens might nail polishes make me drool and the queens blush bring a smile to my face! Mystic Shine gloss looks like a beautiful holographic, hopefully it turns out well. Wow, those are some pretty different shades for drugstore! I will definitely have to check it out. Thanks for the post. YES. That is all. And the description for the Seductive Temptress blush is nonsensical. I am really curious to see the Mystic items, in particular. And I agree with you about last year’s offerings being HTF. 🙁 Here’s hoping for an improvement in that department! A couple of those quads look tempting, lol! Polishes, must have! Haven’t been interested in the glosses until now! I missed out on the blushes last time! Won’t happen again! I want like all of the nail polish. EEEK! Great looking nail polish! I need them all! I had no idea about this! Thank you for sharing the info and pics! Glad I know early because last year I found out when the related episode aired, and had to hunt all over my area to find anything! I got away with just 2 quads, 2 blushes, and 1 nail polish last time, but sadly I think this time I want 3 quads, all 4 blushes, a couple glosses, 2 or 3 polishes, and a lipstick. Or 2. Or 3. Here’s hoping for BOGO or 40% off sales, haha! BOGO would be fab kelly ;-D and my pleasure <3! BUT of course sarah! ;-D I need backups too! Wow to the polishes and the Mystic’s Shine gloss. I had a hard time locating the collection last year until it was sold out. I hope I can find it this time. Damn damn damn! All of the fall collections last year did nothing for me. This year everything is calling my name!! I like the lipsticks, Queen’s Ambition and the quad with the blues and purple. 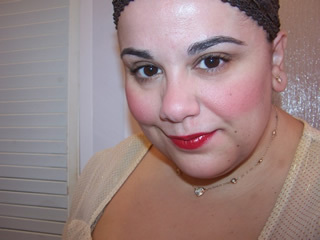 I’ve always loved L’oreal products…especially their eye shadows and lipsticks. Do you know if the release date is the same for Canada? not sure for canada Julie wish I knew my dear! I never bought anything from the last run but some of these are so artsy, I may partake since the price is good. Oooo…I think I must have all the nail polishes, and the lippies! The L’Oreal Colour Rich Le Gloss in the Mystic’s Shine intrigues me! I think you need ALL of the all of the Muse products…they have your name written all over them! I am eyeing…The Queen’s Gaze, The Temptress Touch, The Temptress Power and the blushes if the formula is nice. Wow I am so excited for this! Those eye shadows look like a lot of fun, I just hope they have good color pay off! I want the mystic’s shine! So fairy like! release date in the post robin 🙂 at drugstores. Oops, sorry! Didn’t see it because I was drooling over the Mytic nail polishes! Lol.